Rising sun? 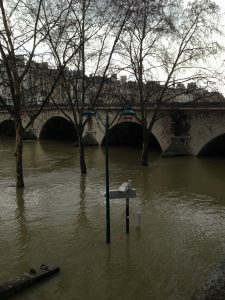 No, the rising Seine…. Rain, rain, go away. Remember that little ditty we used to sing when children? 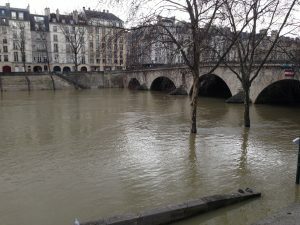 Well, the rain has not gone away over the past month or two in France and the result, while not as spectacular as in June 2016 when the city was on high alert and objects were carted out of the Louvre for protection, is visible. Yesterday I walked from my high and dry apartment near the Place Gambetta which is “up” a hill in the northeast of Paris “down” to the banks of the Seine to meet a friend for coffee. Along the way, I – and hundreds of others – contemplated the rushing, rising waters, hoping they would subside soon – and for the moment that’s what it’s starting to look like. Who is hurt most by nature’s rebellion? The tourists are hurt because they can’t board the magic Bateau Mouche to take a tour and feast their eyes on the city’s monuments from the river. The owners of the Bateaux Mouche are hurt because they lose money every single day their boats can’t navigate. 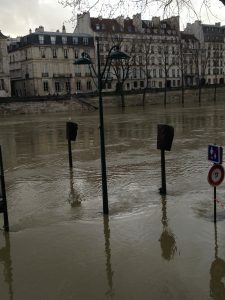 Owners of restaurants and shops along the Seine are affected when their basement storage areas are flooded. People who are lucky enough to live on houseboats suddenly wonder just how lucky they are… So here’s to a bit more “rising sun” in this steadily grey Parisian ambiance and a lot less of the “rising Seine”. This entry was posted in Uncategorized on January 28, 2018 by harriet.welty. We definitely need that American sun. Thanks for your comment. I checked out your website and see that our trajectories are similar but in a different direction. 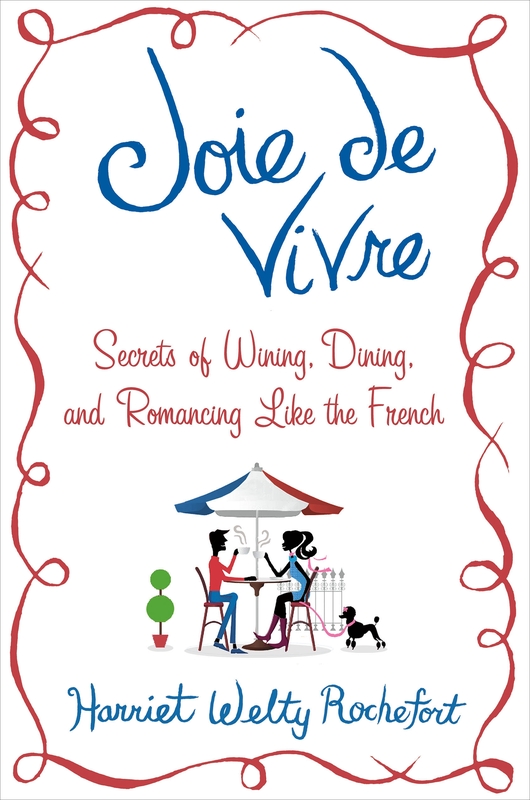 I’m an American writer married to a Frenchman and you’re a French writer married to an American (I am presuming). And we both have the best “job” in the world!